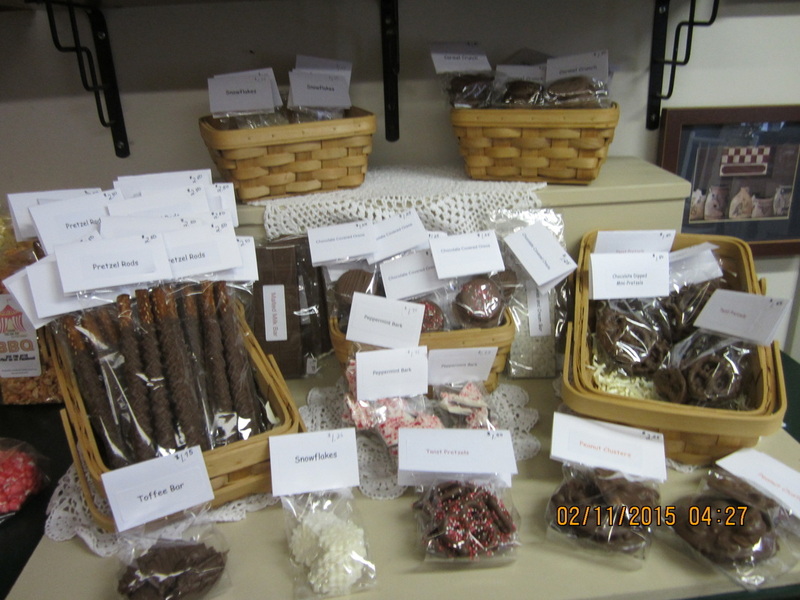 The Kitchen Cupboard is filled with homemade chocolates, Amish jams and jellies, wine jelly and Just Mike’s beef sticks and jerky. Most our food is made locally. 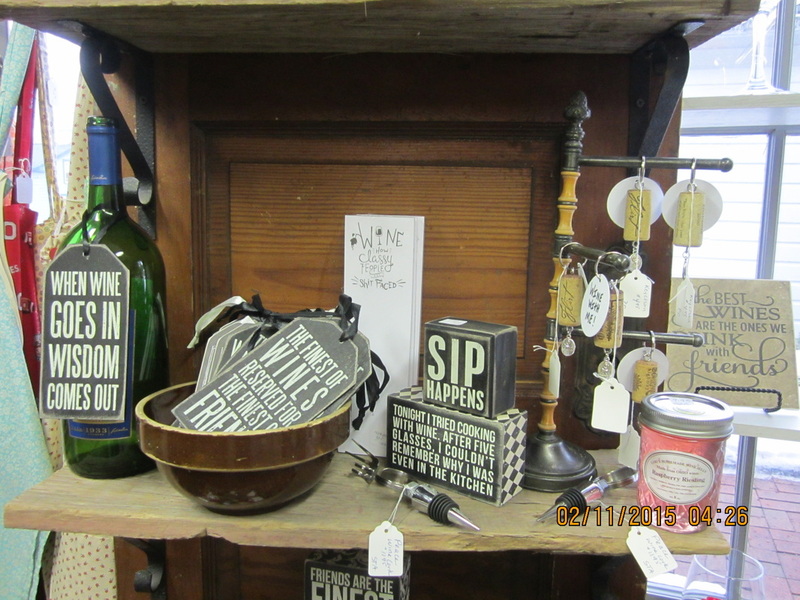 As you munch on samples, you will discover the Kitchen Cupboard has old and new cookbooks, vintage and antique kitchen items, wine items and vintage aprons. This will very much become your favorite place to stop and get candy! Mary has the best tasting chocolate coming out of her home! The themes change throughout the year and she is always coming up with new ideas and flavors. Make sure you pick up some or you will really be missing out on a treat! 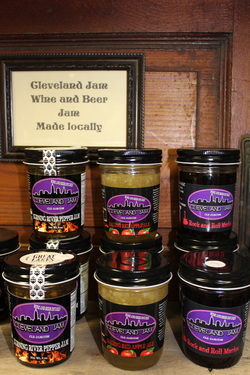 Cleveland Jam Wine and Beer Jam! Made locally with Great Lakes Brewery! Check out this below to see what our Kitchen Cupboard usually looks like! 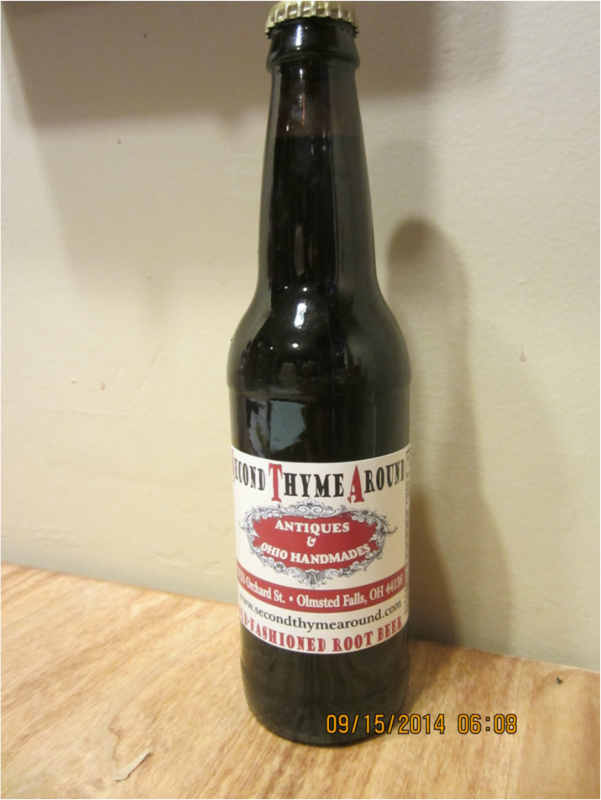 We have old fashioned root beer with our own logo.